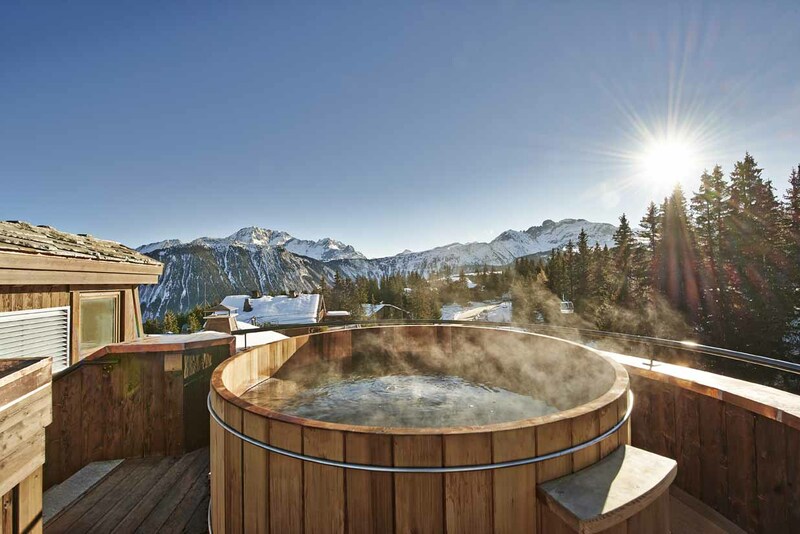 "Gstaad has long been a retreat for the rich and famous and it’s easy to see why. While it’s only a short journey by rail or car from Geneva, you will feel a million miles away from home in Gstaad. A beautiful unspoilt Alpine village that gives access to 220km of skiable terrain. Gstaad is a place where it’s important to take your time and relax as epitomised by the resort’s tagline ‘Come Up, Slow Down’." The stone cobbles and wooden clad buildings in the village centre give Gstaad a traditional feel, with exclusive boutiques and elegant restaurants making it equally popular with non-skiers. In fact, skiers will find the 200 plus kilometres of slopes blissfully quiet! There are four parts to the ski area, linked by complimentary transport and offering a great deal of variety. The Saanermoser is the largest of these with 104 km of mostly blue and red pistes as well as plenty of mountain restaurants to refuel at. There’s lots more on offer too: nordic skiing; snow shoeing; heliskiing, the Tissot Peak Walk and ski touring are all available. It’s a real gem of a resort where the guests all feel like royalty, and some of them are! Skiers can enjoy the extensive 220km of slopes, spread out among the four main sectors, which include the Diablarets glacier at 3000m (accessible by bus). Intermediate skiers and boarders in particular will love the superb terrain and long runs. Cross country routes, ski touring and heli-skiing are also readily available. Offering an excellent selection of top-class hotels and the warmest of welcomes, it is no wonder that Gstaad has become a firm favourite with the rich and famous.